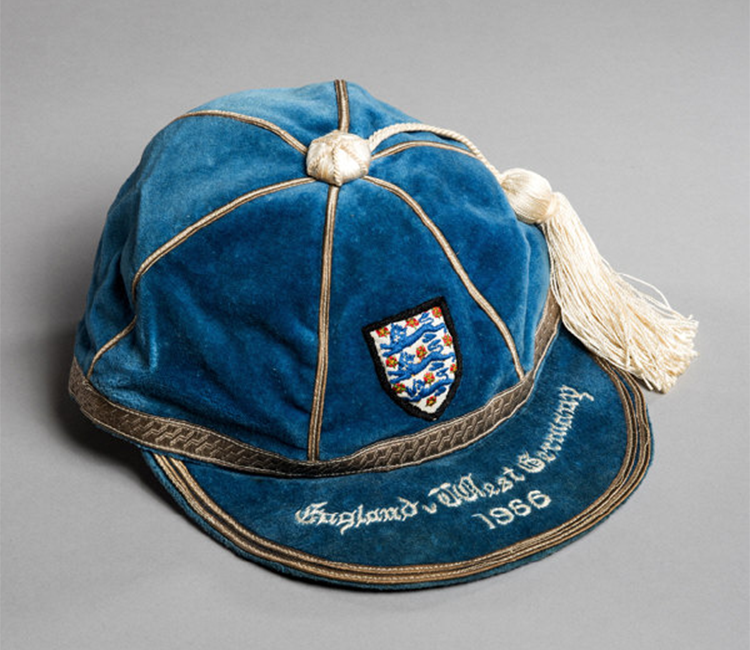 The this month’s sale has some real pieces of sporting history in it, like the Geoff Hurst debut cap for England from the 1966 game, what else can you tell us? We have the collection of Roger Hunt (member of the 1966 World Cup winning England team) which is an incredible selection of nearly 70 pieces including Hunt’s shirts such as the one he wore for his England debut in 1962 and his Liverpool shirt from the 1965 F.A. Cup Final. 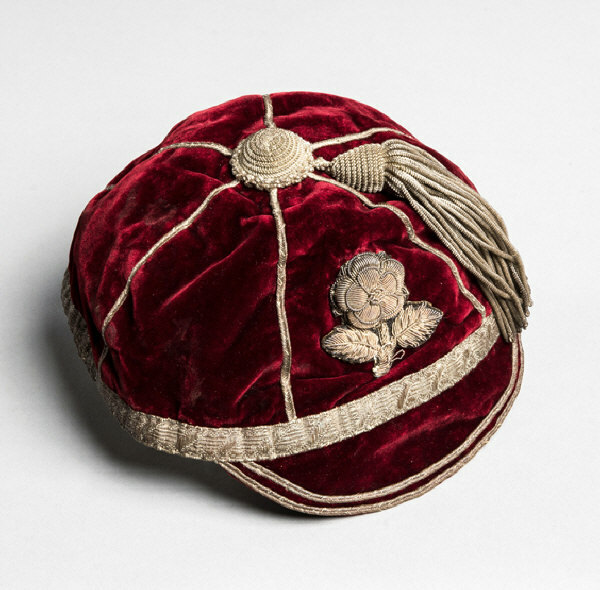 The collection also includes important mementoes from his career including several of his England International caps and medals. The big thing this year in sport, is of course, the 50 year anniversary of the 1966 World Cup. In 1966, Pelé was in England with the Brazil team, who were staying in a hotel in Cheshire. When Pelé left, he gave Mona Leigh, a member of staff at the Lymm Hotel, his training tracksuit. It stayed in the Leigh family for 50 years, and is now in the sale, accompanied with a photograph of Leigh, Pelé and the tracksuit. Away from the World Cup, we have the pair of gloves boxer Henry Copper wore at Wembley Stadium in 1963 when he became the first person to knock over Muhammad Ali, then Cassius Clay. The New Zealand ‘Original All Blacks’ shirt from the team’s first rugby union tour outside of Australasia is in the sale - it really is the holy grail for New Zealand rugby fans. The shirt was worn by Ernie Booth during the team’s tour of the British Isles and France in 1905-06 and was recently on display as part of an exhibition in Bristol during last year’s Rugby World Cup. 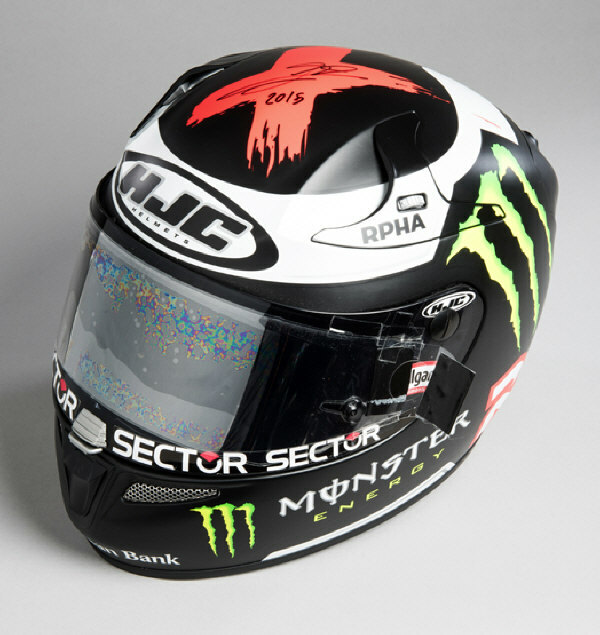 What’s big in the sporting memorabilia market do you have high hopes for this year? Any trends you foresee? To mark the 2012 London Olympic games, we held a special one off Olympics auction, which worked really well, it was fantastic as it brought in new interest and new buyers into the sporting memorabilia market. Olympics memorabilia has been the most rapidly growing section of the market in the last four years. You have a wealth of experience, with 25 years in the industry and having worked at Sotheby’s and been responsible for such triumphs as the Lester Piggott collection, and the auction for the late Sir Stanley Matthews. Tell us, how did it all begin for you? Yes, I was at Sotheby’s for 25 years, responsible for their Sporting memorabilia sales. In 2004, I founded my own auction houses and started associate auctioneering with Sotheby’s, with all sales being held at Sotheby’s. It works well, and after 12 years we’re still holding the sales in this way. What, for you, has been the most interesting object you have ever come across? A piece the comes to mind, is not the most expensive, although it did make a great price, but it was a real discovery. A gold winner’s medal from the first FA cup, held in 1872, was brought to my attention. It was incredible, no one had ever seen one before. In the 1950’s, it was destined for the melting pot when it arrived in a pile of gold at a jewellers on Seven Sister’s Road. The jeweller, a football fan, noticed the inscription and saved it from that fate, and since then he kept it in his family. 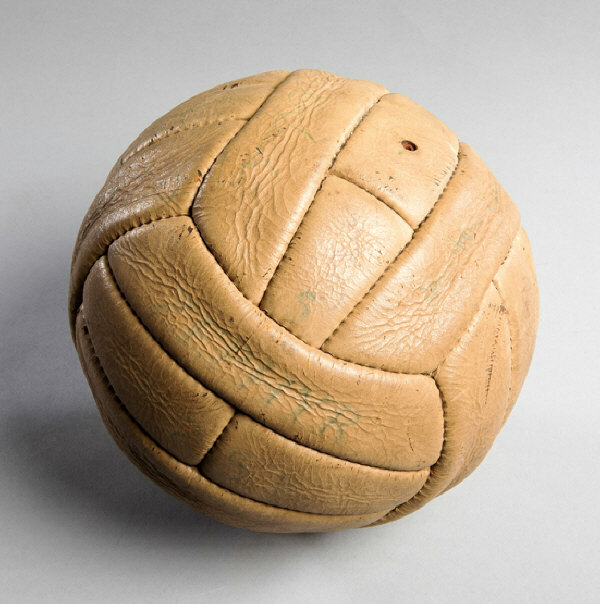 When he passed away in the 2000’s, it was consigned and sold at auction for £60 000 and is now on display at the National Football Museum, Manchester. It avoided the melting pot and is now preserved in the right place. The other ten, no one has ever seen, they may well have ended up being melted. Any advice for budding collectors? What makes a piece get the sale room fired up or make an enviable collection? 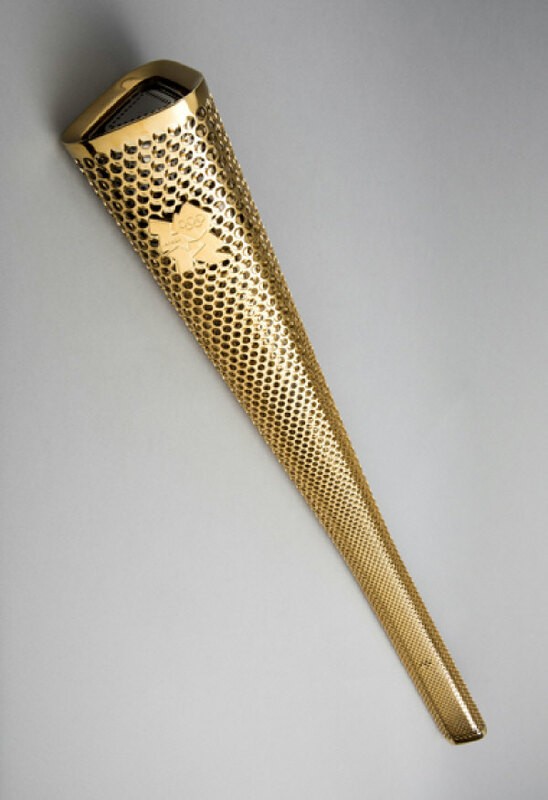 The torch from the 1952 Helsinki Olympic Games broke the world record for the sale of any Olympic torch. The reason - out of the thousands of torch collectors, no one had that one, when it came to market, it was an absolute rarity. The rarity of it excited collectors and it sold for £420 000. Rarity, and absolute tremendous celebrity are what make pieces reach these prices at auction. Graham Budd Auctions Sporting Memorabilia sale will be held on 25th & 25th April. Viewing will be held on 24th April 12 noon to 5pm, 25th April 9am to 4.30pm, 26th April 9am at the Lower Grosvenor Gallery with the sale taking place at the Upper Grosvenor Gallery.